The gold-dusted saga of a red-bearded young giant, raised in the Arctic on seal-meat and encyclopedias, who descends on civilization with a loud and solid crash. In his search for wisdom and adventure, the man Jones doesn’t have Aladdin’s lamp—but he doesn’t really need it…. 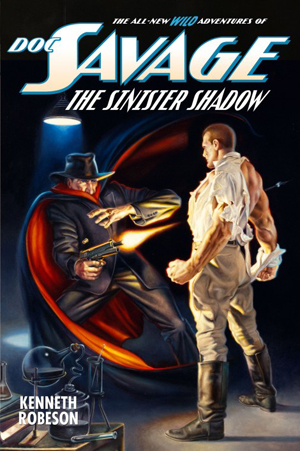 Never before reprinted, it’s the longest novel Lester Dent (co-creator of “Doc Savage”) ever published, and one of the most famous. This edition restores text cut from its original publication. 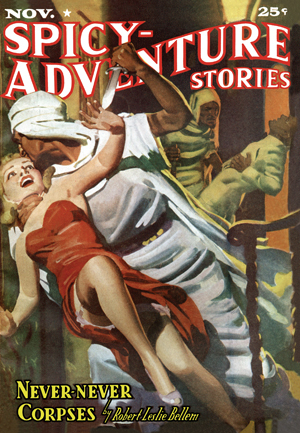 Originally published in Argosy Magazine in 1937–38, this edition also includes an all-new introduction by current Doc Savage writer Will Murray as well as Dent’s never-before published outline for his planned Genius Jones sequel.